Established in 1969, York Vacuums has been your go-to for great work ethic, excellent service, and honesty. This family-owned business has evolved to specialize in the sale, service, and installation of vacuums and central vacuums – from residential to commercial. Sarkis Asailian opened York Appliance Services almost 50 years ago, servicing various appliances. Within a few years, his business was thriving, and he had built a great clientele with his honesty, charm and hard work. Over the decades, York Appliance has come to specialize in all types of vacuums – from residential vacuums to industrial central vacuums. 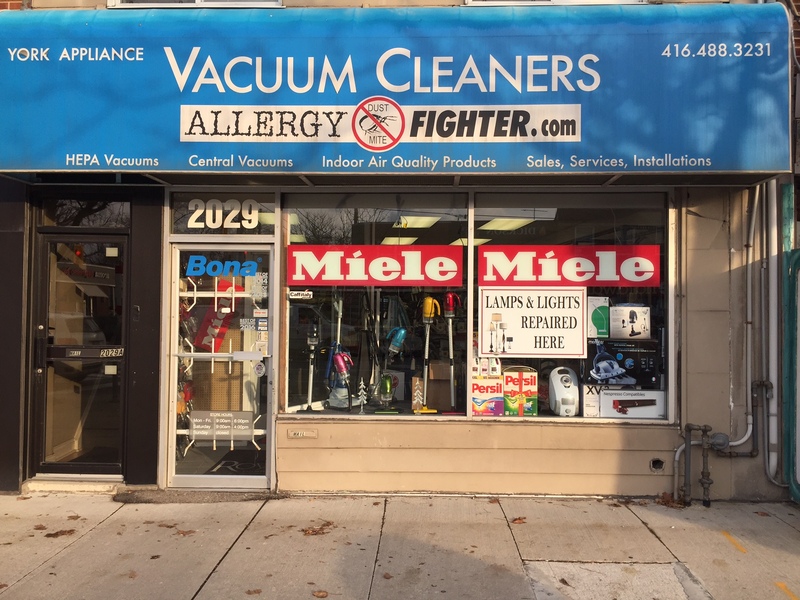 York Appliance has installed all types of central vacuum systems in the GTA and beyond. Current projects include downtown Toronto condominiums and corporate buildings. Our business services commercial portable vacuums for some of the largest retail chains in North America: Roots Canada, Town Shoes, Michael Kors, and others. We are proud to be an Authorized Dealer of Miele. We stock all their homecare products, including vacuums, dish tabs, and espresso machine cleaners. Established in 1969, York Vacuums has been providing excellent service and honest value for almost 50 years. This family-owned business has evolved to specialize in the sale, service, and installation of vacuums and central vacuums – from residential to commercial. Established in 1969, York Vacuums has been providing excellent service and honesty. This family-owned business has evolved to specialize in the sale, service, and installation of vacuums and central vacuums – from residential to commercial.